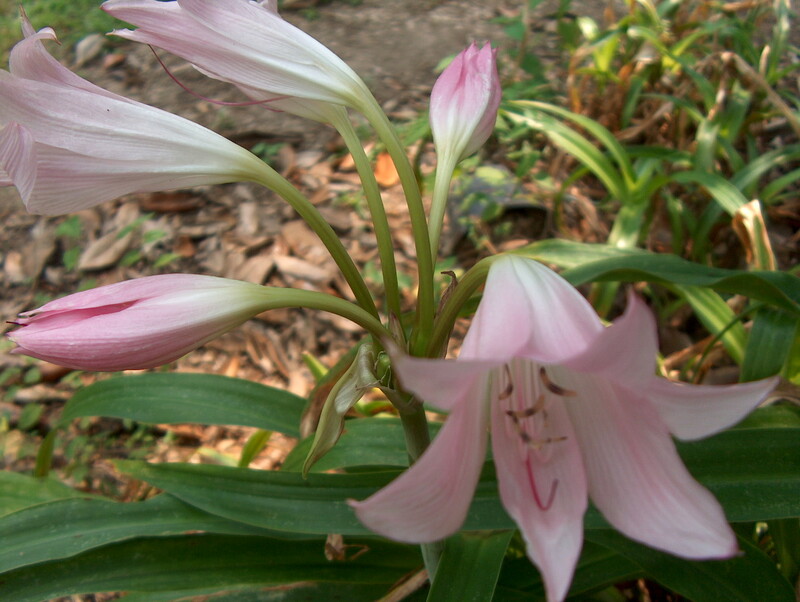 Comments: Large number of kinds called crinum due to the lack of proper identification. These bulbous plants are essentially evergreens in the South and have fragrant flowers in summer. Size of plant, size and color of flower and amount of fragrance varies with kind. Tolerate a wide range of growing condition, but flowering is best in full sunlight. Dig, divide and replant bulbs periodically. Best time is late fall.